What’s new on Blu-ray this week? 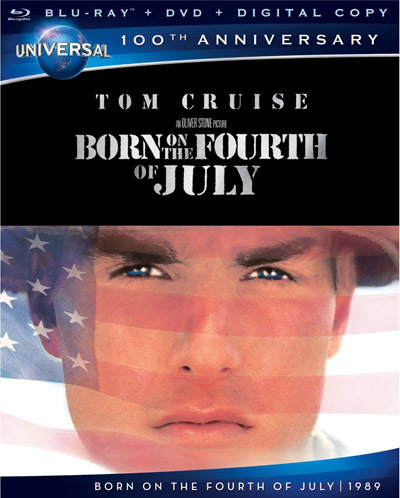 Let’s start with the classic film Born on the Fourth of July starring Tom Cruise. The digitally remastered high-definition release of the film is one of many titles celebrating Universal’s 100th Anniversary in business this year. The Blu-ray two-disc edition of the film includes a standard-definition DVD copy as well as a digital copy you can watch on a PC, tablet, or smartphone. The Hunter starring Willem Dafoe is also now available on Blu-ray. The film had the unique characteristic of being released first for digital distribution on Amazon Instant Video and YouTube. The Hunter (produced in Australia), follows a professional hunter who is hired to find the last remaining animal from a species that may possess a valuable genetic structure. 1968’s Barbarella also hits Blu-ray Disc. While you wouldn’t consider this film a masterpiece of filmmaking, Barbarella does have a cheeky quality that is nevertheless entertaining — and now you can watch it in high-definition! Other releases this week include God Bless America, The Entity, Home on the Range, and Treasure Planet: 10th Anniversary Edition. Unfortunately, there are no 3D Blu-ray releases this week so last week’s Wrath of the Titans will have to hold you over until the next 3D release. Here’s a link to all new Blu-ray Disc releases this week available at Amazon.